This year marks twenty-one years since Emma Pollock co-founded the legendary Scottish label Chemikal Underground, and released her first record as part of the seminal Scottish band The Delgados ‘Monica Webster.’ And yet with the release of this, her third solo album, and first solo album in six years, she shows that musically she is not harking back to the past but rather moving forward in the present. That said, it’s a record that’s shaped by her family history, and she makes sense of it in the here and now. The first track to do the rounds was ‘Parks And Recreation’, which recalls the teenage experience of just wanting to enjoy life in the local park, without the local bullies spoiling it for everyone. That’s not the only reference to history here. The title refers to the very first home that her Parents, Kathleen and Guy Pollock bought a few years before she was born. The man on the front of the album sleeve is her father, working on the land. Pollock has acknowledged that the death of her mother and her father’s illness have shaped this album. So a happy coming of age to her recording career and record label running then, and what better way to mark it than with the release of this album? Hello, and a Happy New Year from 17 Seconds! 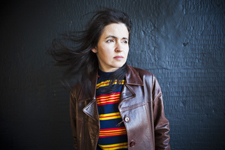 Emma Pollock will release her third solo album In Search Of Harperfield on January 29. Following the demise of The Delgados in 2005, it’s her third solo album, following on from 2007’s Watch The Fireworksand 2010’s The Law Of Large Numbers. This year also marks the 21st anniversary of Chemikal Underground, the seminal Scottish indie label she co-formed in 1995. The first single to be released from the album is ‘Parks and Recreation.’ To be released on January 22, it captures her younger self involved with fights down the local park, trying to decide whether to fight or flight is the best response, when all she’d rather do is feed the swans or play basketball. In Search Of Harperfield is released by Chemikal Underground on January 29. This was in my inbox this evening when I came home. It’s an album called Whatever Gets You through The Night, and it comes out on November 5 on Biphonic Records (home to Swimmer One and Seafieldroad). Sixteen tracks in total, this was a live show that took place at the Arches in Glasgow back in June of this year.. This is the accompanying album – 16 brand new songs inspired by the hours between midnight and 4am, by a cross section of Scottish musicians. And when I say cross-section, it’s Ricky Ross (of Deacon Blue) on the same album as Wounded Knee, Errors on the same album as Rachel Sermanni, Eugene Kelly as Meursault. Lots of 17 Seconds favourites, Swimmer One and Emma Pollock were the first acts I ever interviewed for the blog, over five years ago. There’s a feature over at The Skinny which explains how it came together. Stream it below, you can also download the Swimmer One track for free. Electric Circus, Edinburgh, September 2. I first fell for Emma Pollock’s music in the nineties, when she was a member of The Delgados, my favourite Scottish band ever, and the four people behind what must be Scotland’s longest running independent label so far, Chemikal Underground. In 2005, the band sadly called it a day. 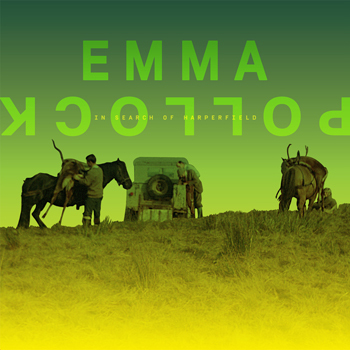 Emma has gone on to release two excellent solo LPs, Watch The Fireworks and The Law Of Large Numbers. In addition to this, she has also been involved in Burnsong, The Ballad Of the Book compilation and The Burns Unit (the latter with other Scottish Acts, including King Creosote, Karine Polwart and Karine Polwart). Tonight, her part of the show is drawn largely on numbers from, er, …Numbers. Armed on with her acoustic guitar, and a bottle of beer, she charms the audience, and I’m reminded that one of the reasons I have been to see her so many times as a solo artist is because she makes the audience warm to her banter inbetween songs. While some artists might make an audience cringe talking about their children and how they’ve influenced a song (see, you’re starting to do it almost involuntarily! ), she explains ‘The Child In Me’ as about being in playgrounds with her son and how it brings out her childish side. 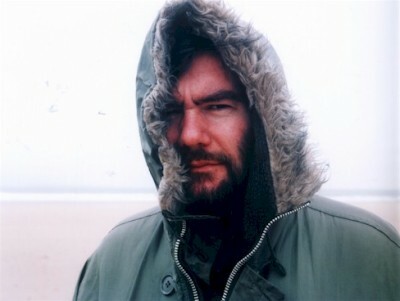 This tour with RM Hubbert -or ‘Hubby’ as he is affectionately known-is a co-headliner. Whilst Hubby has been open in the press about his battles with depression, he is endearing on stage, and a warm sense of humour comes across. There is a sense of the openly, nakedly confessional -but more in the between-song patter than lyrically. After all, the bulk of his material is instrumental. But there is a beauty within -and whilst his life has obviously been touched by a great deal of tragedy, you sense that Hubby is (hopefully) working through it. I have encountered far more embarassing cartharsis than this. Whether collaborating together or separately, La Pollock and Hubby managed to show that actually a solo artist with just an acoustic guitar can hold a room rapt. This show wasn’t anything like as well attended as it should have been, but I’m surely not the only one who left with a warm glow. Back in 2007, it was a major coup for this blog to have one of its’ first interviews with Emma Pollock, founder member of the Delgados and the seminal Glasgow indie label Chemikal Underground (which notches up its’ fifteenth year in 2010). After the Delgados had split after five excellent studio albums in 2005, she released her debut solo album, Watch the Fireworks in 2007. That album came out on 4AD and came third in the 2007 17 Seconds albums of the year list. She also had several numbers in the 2007 Festive Fifty. 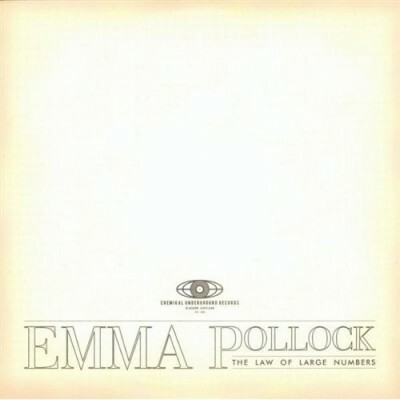 She is now ‘returned to the heaving bosom of Chemikal Underground’ and her new album is entitled ‘The Law Of Large Numbers.’ It will be released on March 1, 2010. I have mentioned many times just how much I love Emma Pollock’s work. Having topped the second ever 17 Seconds’ Festive Fifty with ‘Adrenaline’, I went with Mrs. 17 Seconds and sister-in-law to see her for my fourth time this year, and the third time in this very venue. Previous support acts to Emma Pollock this year have included Broken Records and Katie Sutherland. I don’t know whether she personally picks them or not, but Wake The President are winners too, who like the two afore-mentioned acts I intend to feature again here at 17 Seconds. From their opener ‘I Should Be So Happy’ it is clear that here are a band who channel the spirit of the Fire Engines, early Orange Juice and most strongly of all, Josef K. Acknowledging this, their penultimate song tonight is a faithful and affectionate cover of Josef K’s ‘It’s Kinda Funny.’ They have released two 7″ singles on Electric Honey (the record label in Glasgow run by Stow College that most famously put out Belle & Sebastian’s debut, Tigermilk, back in 1996) – ‘Sorrows For Clothes/Mail Alice’ and ‘Remember Fun?’ all of which get an airing tonight -and which they have said they are happy for me to post here. Other songs played include ‘Professor’ ‘You Can’t Change This Boy’ and ‘Security Place’ the latter which is dedicated to Malcolm Middleton. By the end of their short set, it’s clear that this is a band we will be hearing more from in 2008. Having played the album repeatedly, these songs are now firmly lodged in my brain, and over the course of the evening we get all eleven songs, plus ‘Jesus On The Cross’ the track she collaborated with Louise Welsh for the Roddy Woomble-assembled Ballads Of The Book. ‘Adrenaline’ still literally gets the, um, adrenaline, running, from the moment that keyboard riff kicks in and ‘Limbs’ still melts this old heart no matter how many times I’ve heard it played live this year. The e-bowed guitaron album closer ‘The Optimist’ is one of the finest, most atmospheric moments I have experiences this year. After an encore of ‘You’ll Come Around’ it’s out into the night. Thanks for soundtracking my year, Ms. Pollock, and another fantastic gig. Well, it has been a quieter month for gigs here round at 17 Seconds Towers. After going to seven during August (not bad for someone in their thirties!). 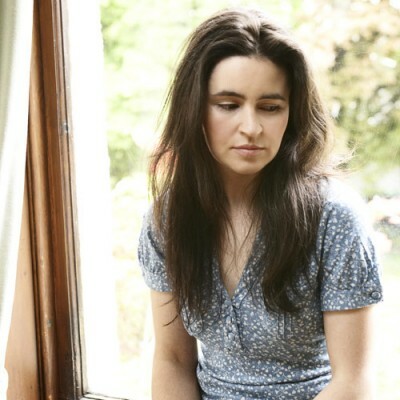 But with Emma Pollock supporting King Creosote at the Queen’s Hall…I couldn’t not, could I? This was the third time I’ve seen Emma Pollock this year, although the first time since the release of her debut solo album. The only thing I could possibly say against her set is that it was too short. Otherwise, she seemed to be excited to be back at the Queen’s Hall (I saw her with the Delgados here in 2003 and 2005) and played a storming set. Opening with ‘If Silence Means That Much To You’ the half a dozen songs she plays remind me just how Watch The Fireworks has become a firm favourite here at 17 seconds Towers. ‘Adrenaline’ with that piano riff gets me everytime, and is currently my fabvourite track of the year, for what it’s worth. She finishes with ‘The Optimist’ and I’m gutted that she’s off again so quickly. May she return to Edinburgh a.s.a.p. I do not understand how this album only debuted at 30 on the indie charts -it deserves far better. He comes on solo, introducing himself as King Creosote, but it’s hard to believe that a person in this sold-out gig cannot know who this man is. Joined by the band on the second song ‘Nooks’ it’s clear just how together they are as a live act, particularly with fellow Fence Collective member Johnny Lynch AKA the Pictish Trail on guitar (and vocals to melt your heart). Indeed the harmonies and chiming guitars of Mr. Lynch should not be underestimated as to the impact on the live impact of these songs. For it’s the songs that have brought people here, even more than that voice, and the growing legend of the Fence collective and label and the self-released CD-Rs and the Fence Homegame festivals. ‘Spystick’ has one of the best couplets I’ve heard this year ‘She’s one of a dozen but you’ve seen the sight of the other eleven.’ And he’s got a great sense of humour that is gently self-deprecating, hugely endearing and very genuine. Strapping on an accordion for Bombshell opener he reminds us that ‘the definition of a gentleman is one who can play the accordion but chooses not to.’ Hell, there aren’t many people that I’d say this of, but I suspect he could make an album of just voice and accordion and it would be fab. When I first encountered KC’s music, I lazily pigeonholed them as folk, but it’s clear that they take those folk elements and rock with them in their own wonderful way, no more so than on KC Rules OK’s ‘My Favourite Girl.’ Mrs. 17 Seconds hadn’t been convinced when we’d seen KC on a bill with Aberfeldy and My Latest Novel, but she was well and truly won over tonight. Fantastic on wax and live…what does it take for the rest of the world to wake up to two of Scotland’s greatest?